Mavis Trimble loves the land. Together with her husband, she made her family farm thrive. Then the aliens came, and her husband went to war. Left alone in a dying land, Mavis suffers a crisis of faith. Her daddy always said God has a plan, but Mavis just can’t see His plan this time around. Until an unexpected nighttime visitor changes everything. A lot of things in George Wannamaker’s life didn’t go according to plan. A simple little recon mission left him stranded in the desert north of Reno for decades. Who could blame him for wanting a family? See, George isn’t exactly from this time zone. Paradise. 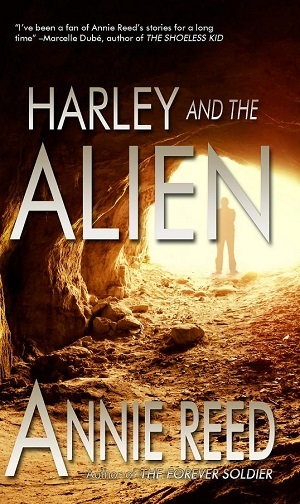 A wind-swept mining town on a far-flung planet, and the latest stop for Samuel, a burned-out vid reporter stuck on the human interest circuit. Paradise. A town on the edge of the Big Nothing, the black emptiness between galaxies. Paradise. A town with a chilling secret. A secret that will change Samuel’s life forever. For five long, lonely years, Jerome refused to believe his lover died at sea, but five years is a long time to believe in the impossible. Just when Jerome begins to accept the inevitable, a young man appears in his life. A young man with Andy’s face and body, but none of his memories. 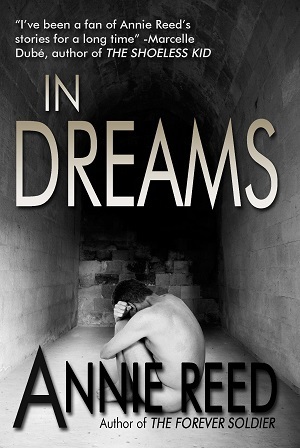 A young man hunted by a strange darkness that lives in the fog. On the eve of his retirement, time travel hero Langford Russell discovers a deadly secret about the program he helped pioneer. Langford thought the program merely observed history. Instead, the program used Lang and other time travelers like him to alter the past in a plan to exterminate the human race. The fate of the world rests on one aging hero’s shoulders as Lang makes a final trip to the past in a desperate attempt to stop the program before it can begin. Even with the world coming to an end, the Strip’s still in business and people in Las Vegas still need a ride. With his daddy’s cab and his long-time buddy riding shotgun, Jefty’s happy to oblige. He’s managed to avoid the worst of the end times insanity so far. Right up until a naked woman lands on the hood of his cab. Five stories of a distant — and not so distant — future. 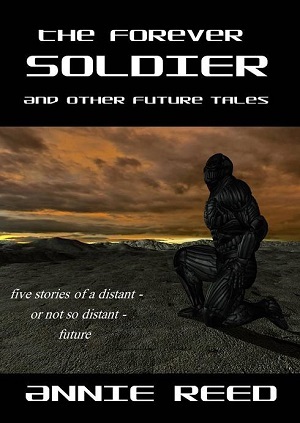 The title story “The Forever Soldier” features a far-future infantry soldier who can’t stop fighting, no matter how many times she dies. 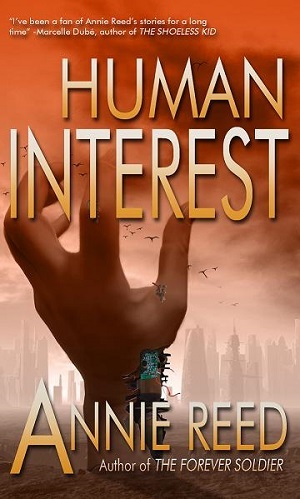 In “Human Interest,” a journalist searching for that one big story to reinvigorate his career uncovers more than he bargained for on a mining colony at the edge of known space. “The Liar” finds one woman preparing for the end of the world in her own unique way. 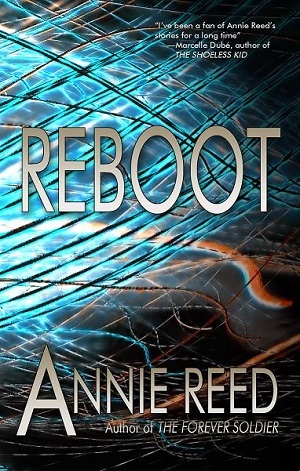 In “Reboot,” a time travel pioneer facing forced retirement sends himself on the most important mission of his life. And in the award-winning, near-future story “One Sun, No Waiting,” an old motel owner tries to maintain an oasis of normal in the Nevada desert as the sun dims and civilization falls apart around him. 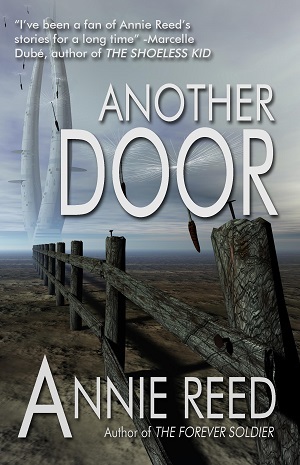 “Annie Reed draws a pitch-perfect portrait of the Nevada desert and peoples it with folks so real I want to drive out by Vegas and try to find the Forty Winks Motel and check up on how everyone’s doing. 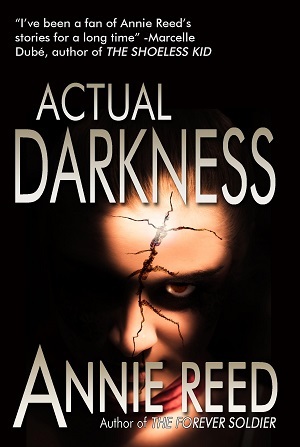 Its quiet voice and fast pace weave together to make any reader care.” — Cindie Geddes, Editor, Lucky Bat Books.